Initially, red dot gadgets used to be the size of a traditional handgun scope. However, over the years their designs have changed and they are now small devices using holographic technology. The best red dot sight in the market is small enough to be practical for hidden carry as well as mount in place of the rear sight. Most of these devices use batteries that you need to replace occasionally but there are some designs that use radioactive tritium gas for illumination. 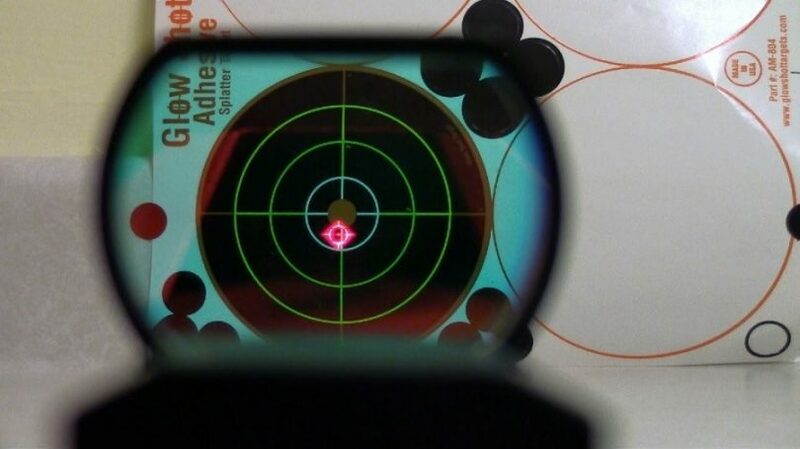 A red dot scope is an optical sight that superimposes a red dot on the target when aiming. This gadget looks like a small optical scope that can be adjusted to the point of impact for the aim. The best thing about this type of aiming gadget is that both your eyes can remain open, allowing you to use your full peripheral vision to pick up the next target. It makes accurate fire very easy, normally without magnification, since all you have to do is place the dot on the target and fire. The device constitutes of an outer aluminum tube, front and rear lenses, windage and elevation adjustment turret housing, a battery compartment, an electronic diode and an on/off/brightness switch. 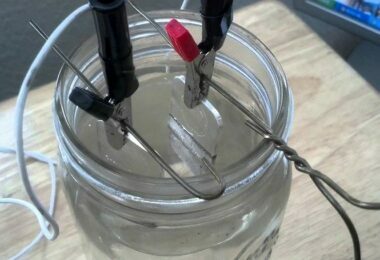 Turning on the switch allows electrical current to flow from the battery to the diode. This leads to the projection of a red beam light on the front lens. There is a coating on the lens that reflects waves, which are visualized as a dot toward the shooter’s eye while allowing other light waves in the color spectrum to go through. Diameter of the dot is controlled by the size of an opening through which the beam of light from the diode obtains before arriving at the front lens. Dot sizes are manipulated by manufacturers by using apertures of different diameters. Some devices have variable dot sizes, meaning that you can adjust the aperture to attain different dot size while others have a fixed dot size. Red dots are normally incorporated with different shapes and sizes. The main styles include open style and tube-like style. The open style assumes a square shape while the tube-like style assumes a scope. According to research, the primary considerations that a shooter has to make when selecting a red dot device include both the dot color and size. The mission package as well as the configuration of your firearm must be included when choosing these gadgets. To begin, the dot size needs to be adequately big in such a way that you will not struggle when aiming. However, the aiming dot should not be too big to block your target. Normally, the dot size is measured in minutes of angle (MOA). The basic measurements state that one minutes of angle is equivalent to approximately one inch at a hundred yards. For instance, five minutes-of-angle dot covers a five-inch area at a target a hundred yards. Adjustments are included to move the dot around the interior of the optic, allowing you to conveniently adjust the point of impact. Generally, there is no magnification involved. The dot will cover a certain minutes per angle at a hundred yards, as aforementioned. As much as five minutes of angle is recommended the most common dimension is 4 MOA, which cover a four-inch circle. To be precise, the dot size gives room for some basic ranging ability. However, the dot size can be variable as mentioned earlier and in most cases is of different sizes for varying errands. Larger dots are normally convenient at short ranges where exactitude is secondary to speed. On the other smaller dots, such as one minutes of angle or less are convenient past a hundred yards with good accuracy. An intensity setting on the best red dot scope is user adjustable, allowing you to set it high for bright light. Why you need a red dot device? These small aiming devices are very robust and they can take a lot of recoil from the toughest rifles, handguns and shotguns. Depending on what you are planning to do with your firearm, you can select from a smaller or larger minutes of angle (MOA) size. Large dot size as highlighted earlier are more useful for short ranges, but they are also highly resourceful on handguns and any other rifle that engages close range large-sized targets, such as a game. 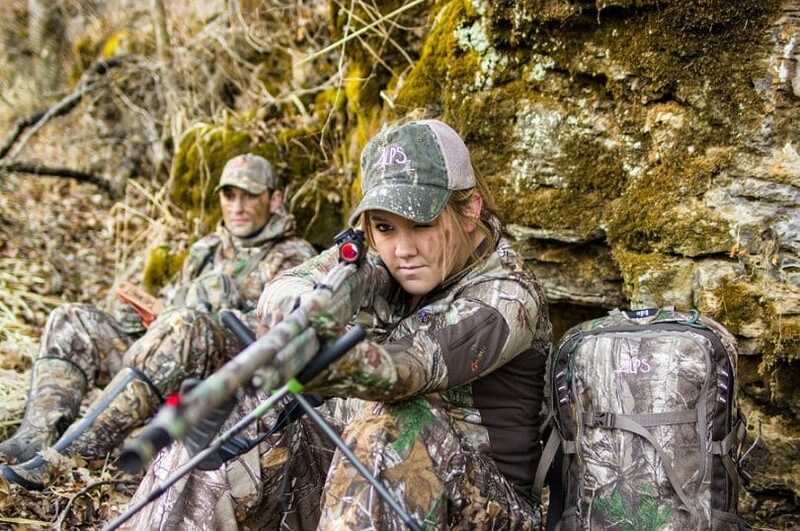 Check out our article on how to choose the best hunting gear for more options. Small-sized dots; on the other hand, are best suited for a firearm that requires precise shot placement and with additional distance between you and the target. Normally, a small-sized dot (smaller minutes of angle, such as 1 MOA) will not cover a larger area when compared to a large-sized dot. 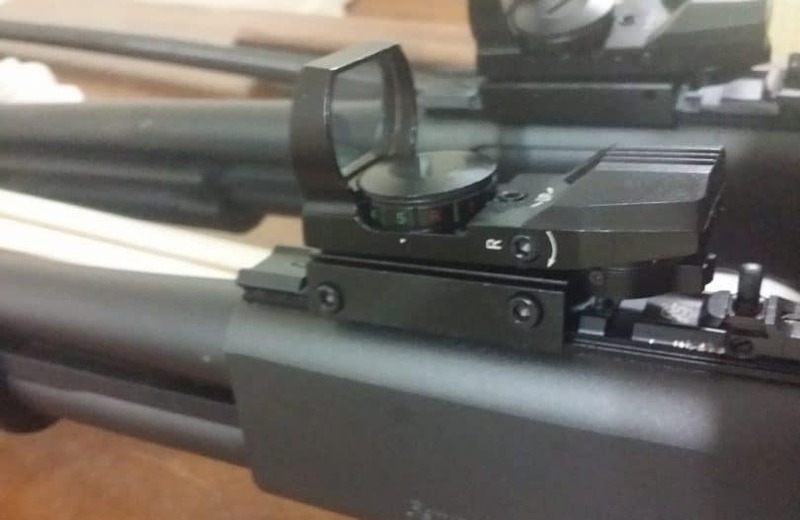 You need this gadget because it allows you to see the dot clearly at any length of eye relief on your rifle. This makes a red dot device a resourceful as well as versatile addition to any firearm. In addition, these scopes/ sights are used for close to medium ranges. There are many models with different capabilities and dot quality in the market. 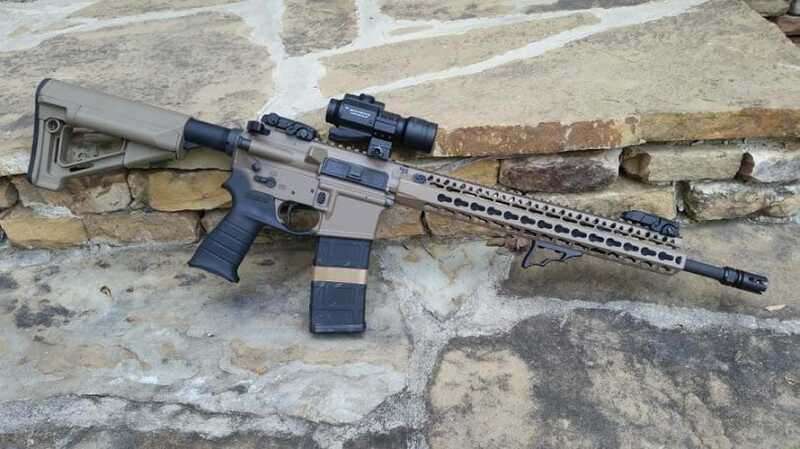 You can look for devices that have automatic shut off time along with an ambient light sensor that will adjust for brightness, allowing you to keep your hands on your rifle at all times. 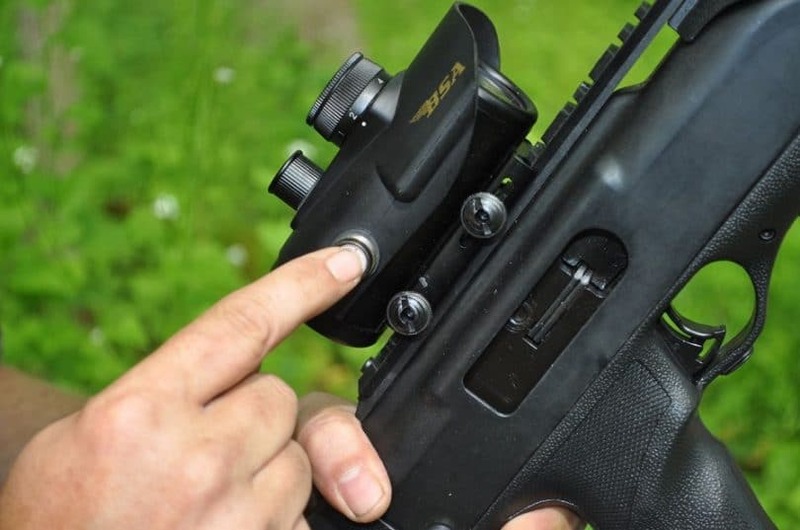 You can also find gadget that have a top load battery, since there is no time you will be required to remove the device from the rifle to replace the battery. In addition, all battery operated sights have common batteries that can easily be obtained from convenience stores. The best sight will impose no limits on your eye relief. You eye can be 2 inches back and you will still see the same field. This simply means that the dot is there for you, in the same apparent focal plane as the target. If you keep dot brightness at low settings, you will still shoot as precisely as you can hold under hunting conditions. You cannot possibly lose precision beyond 100 yards. In fact, 200 yards should be easy. 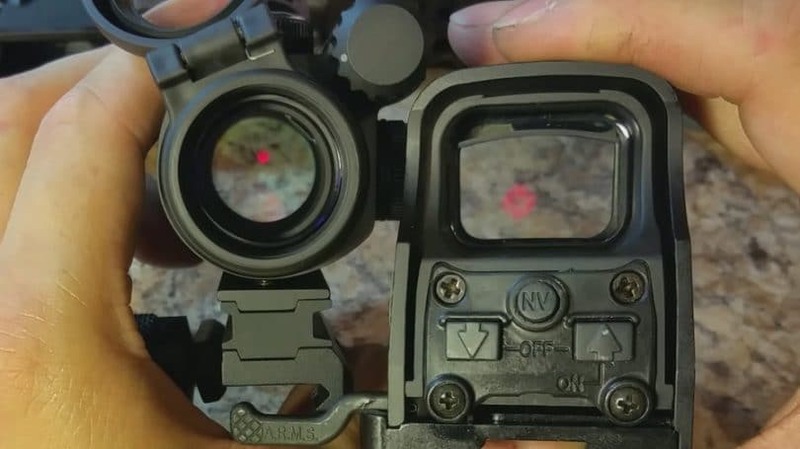 Moreover, red dots can be integrated into a handgun scope reticle as well, making it easier to shoot as the sun starts to set, which is a vantage point for handgun shooters. Are you looking for something different, with a more accommodating price? Bushnell trophy TRS-25 is the sight for you. It has a solid construction, which you can attach to the flat top rail of your AR15 fast, easily and securely. The pre-installed rubber lens covers are well-attached to each other by small rubber cord. These covers are enough for safeguarding the lenses from debris and unwanted objects. The red dot is equipped with eleven settings; starting at 0 (when off) up to 11 (the brightest). The eleventh setting is exceptionally bright for any possible environment. Bushnell trophy TRS-25 is designed to provide you with intense target acquisition and peak accuracy. The dot is fixed up with amber-bright optics, which gives you the ability of distinguishing between a brown critter and a brown tree. You can expediently operate the sight under low light conditions due to its multicoated optics. The design robustness is further improved by the following: a dry-nitrogen-filled housing and shockproof/ fog-proof/ waterproof construction. This is just the model for unlimited eye relief, because you can use it with while both eyes are wide open. This particular feature increases your awareness of the surrounding area; thus providing you with faster and precision target acquisition. This eliminates centering in target acquisition, because the dot will follow the movement of your aiming eye but remains locked on the target. With Bushnell TRS-25, you are guaranteed full size performance with low power consumption and reduced size performance. Its construction makes it easy to mount. 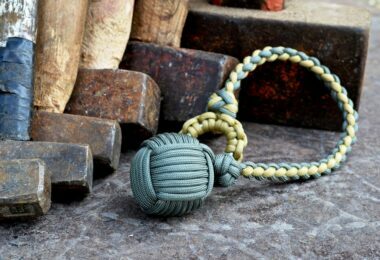 Unlike other model, this one mounts perfectly on picatinny rail or any weaver style. The recommended screw that you can use to install the sight to the rail is the Allen style cross screw. You are advised not to over-tighten the screw, since this may strip the threads. The unit is installed with an objective lens, which is located at the front and it is spherical in shape. It is positioned off axis and it also seems to be tilted when your eyes are on the sight. 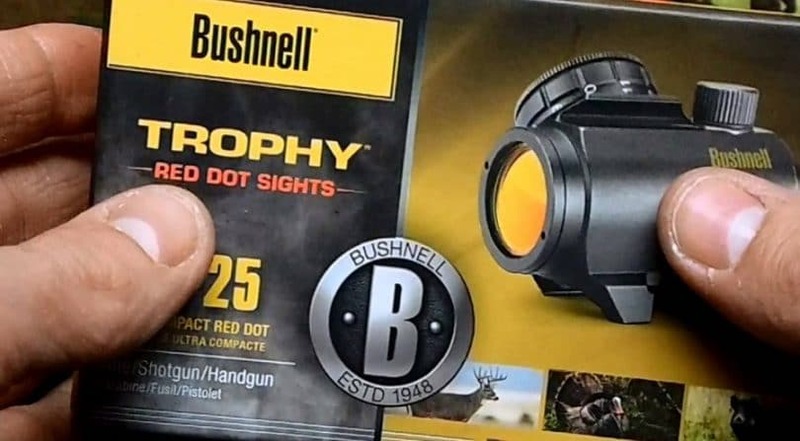 Main features that should encourage you to buy Bushnell TRS-25 include but are not limited to: 1 x 25 mm trophy red dot; easy target acquisition; 3 minutes of angle dot reticle; tilted front lens that reflect LED light to produce the red dot; amber-bright high contrast lens; and red dot LED source safeguarded in the interior of the scope with adhesive. Pros: Has unlimited eye relief because you can operate it with both eyes open and easy target acquisition. Cons: At times the dot may not be perfectly round; it may be quadrilateral and a little vague. Have you wonder why you have been misfiring each time you take a shot? You are probably using the wrong type of firearm or you may just be lacking a versatile and resourceful aiming sight. VITE is the perfect model to engage, because its design is made of a solid metal construction. Its base is incorporated with fits that can be mounted on any 20 mm rail mount regardless of the gun you have. 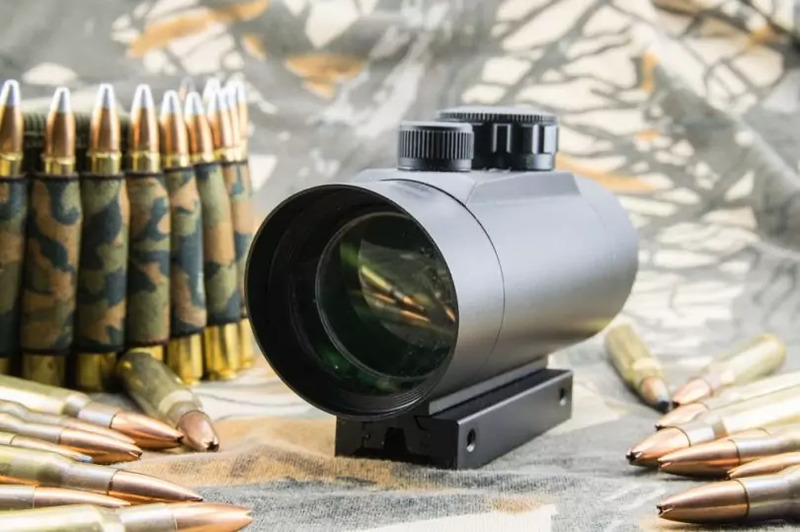 The manufacturer took into consideration all your aiming needs, since you can conveniently sight by fine-tuning brightness of light, corrected parallax, distance and focus. You can use this sight on an AR-15 out to 100 yards and you can aim at a large-sized game without much ado. Its core functionality works perfectly fine, because it can hold on zero well-enough. 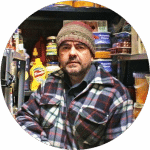 You should be happy with unit, particularly when the required Allen wrenches are incorporated with the product, which allows you to quickly install it and get on with your aiming business. The unit’s windage and elevation are adjustable, surprisingly with the same size wrench. You will most definitely appreciate the dot settings, because it is color adjustable. The fitted reticles are four with red and green color. It is highly user-friendly, given the fact that it is fitted with five levels of brightness and unlimited eye relief. The device is fully changeable on both axes, allowing for optimal alignment by using Allen wrenches. It has multicoated lens for clear sight by modifying distances and focus. In addition, it incorporated with a protective lens cover precisely for storage. Other resourceful inclusions are: CR2032 battery, cleanroom wiper and 1 x dust protection cover. You should not worry about its installation and performance, because it will fit perfectly fine with your rifle. You should also admire the color choice; therefore, you are not always restricted to the red dot, since you can switch to the green dot. You will find that the light stays on the target much easier and the target will not easily find out what you are doing. Once again, its design is sturdy and highly versatile. Pros: Installation is made easy since the Allen wrenches are readily available in the box. Its 5 levels of brightness, four different reticles, and red/ green colors provide better aim at target. Cons: When aiming, the target could see the light from the device, even though it is not deliberately obvious to your target. If you want an economical sight to mount on your favorite rifle, you should look no further, because Aim Sports is just the thing. The whole unit comes well-packed with rubberized sight glass cover and two batteries. The design material is not made of plastic, but a solid, heavy-duty metal body. You can easily misjudge it for a very expensive as well as sophisticated piece. You can opt to go for all sorts of holographic technology based scopes, even the one costing $1,000, but this little gadget is the real deal. The box is also equipped with two Allen wrenches in addition to the two batteries and lens cover. The Allen wrenches makes it easier to install as well as adjust the scope. It has windage along with elevation adjustments. 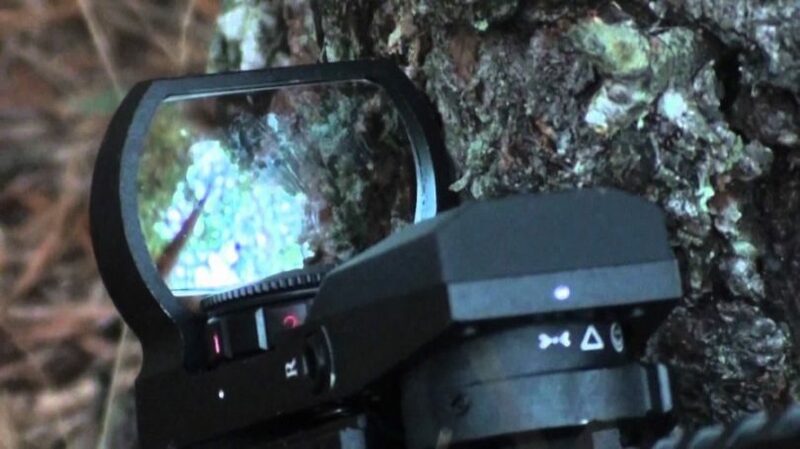 The device is built with multiple reticle patterns and brightness settings. Four reticle patterns and seven brightness settings to be precise, making it easier for you to make the desired adjustment in order to achieve the best red dot. Aims Sports is engineered to help you obtain your target easily and quickly. Its construction consists of aluminum along with a black-matte finish, providing it with a professional appearance with no imperfections in workmanship. The feel of its turret switch is heavy duty with positive click positions at each stop. If you are not sure what the holographic lens is made of, then you should know is glass with a slight blue tint when viewing. However, it is very transparent and with no blockade of the target under any light conditions. The device’s small red dot seems to be well-designed reticle for exactness. Pros: Aims Sports has solid brightness selection knob along with fine detent click and the brightness standards are very resourceful, almost perfect low to high. Cons: There are only a few flaws, such as the size of the glass is slightly smaller in field of view. This is the best red dot scope to buy for indoor as well as outdoor short to medium range shooting. You will buy this scope with very high expectations. You will notice that mounting is going to be quite easy. The device is generally great, primarily because it is very quick and you will not miss your spot because of any aiming issues. This simply means that the bullet will land precisely on your desired target without any possibilities of misfiring. This makes this device a very fast shooting one once it is set up. It is definitely rugged and its adjustments are just like any other aiming device. Ohuhu is installed with dual illumination (red and green dot), allowing you to switch from one color to the next depending on your preference. With a clear 4 minutes of range dot and optimal brightness settings, you can easily find the most appropriate brightness required for your environment, weather and lighting conditions. The optimal brightness constitutes ten brightness settings, which you can adjust manually. Electronic dot sight is characterized by quick-aim, which improves eye relief. This allows you to operate the device with both eyes open. This enhances target acquisition speed and situational awareness. Ohuhu sight has anti-reflective along with band pass coated lens that provide superior light transmission, scratch resistance and higher resolution. Unlike other scopes, this one can be installed on picatinny 1913 mounting system or any weaver style rail system. You will certainly like this device because of its size, since it is not that big and bulky. It can be very helpful, particularly if you must operate it while both of your eyes are open. The red/ green dot is enough and you do not necessarily need magnification. Moreover, the device comes with instructions and a clean cloth for wiping the lens. Pros: The optimal brightness settings allow you to set the perfect brightness for any lighting conditions. 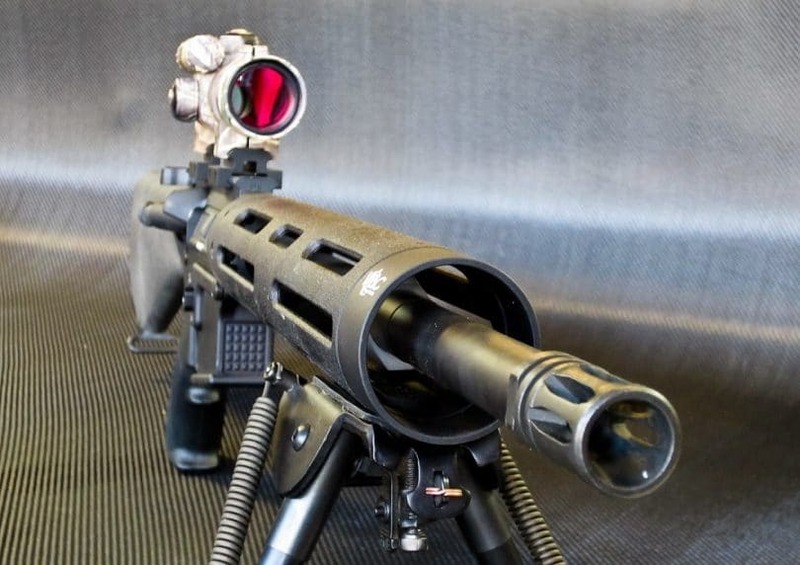 The scope can easily be installed on picatinny 1913 mounting system and on any weaver style rail system. Cons: At times it may be difficult to move the dot vertically. You can successfully get the dot to move to a horizontal position, but returning it downwards vertically may be challenging. BSA is an amazing scope to buy for your rifle. It will take you less rounds to get it sighted with respect to your satisfaction at your desired distance. You can get started at a minimum of twenty yards and continue increasing to fifty yards and still you will be able to obtain the best red dot aim. It is incorporated with brightness control for low/ bright light. Therefore, the brightness of the dot is easily noticeable in bright light, such as sunlight. 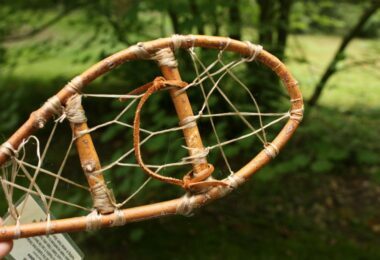 You do not have to make many adjustments, just a few and you will be able to achieve your desired dot. This scope is clearly built for perfection and not just mere aiming. You can have it mounted on your favorite weapon, such as Romanian AK47. It displays dazzlingly against white and when you field test the device it will do exactly what it is designed to do. You can remove the screws and turn the scope rail mount upside down to 5/8. 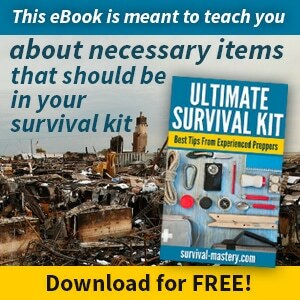 You do not need the expensive pieces anymore, because this unique inexpensive gadget will do the trick. Pros: The brightness control provides you with low or bright light settings. You can adjust the settings to achieve the correct brightness depending with the environment and lighting conditions. Cons: The main problem is the battery life, because it is too short. The rheostat tends to quickly drain the battery. If this is the ideal scope, then find and buy on Amazon. 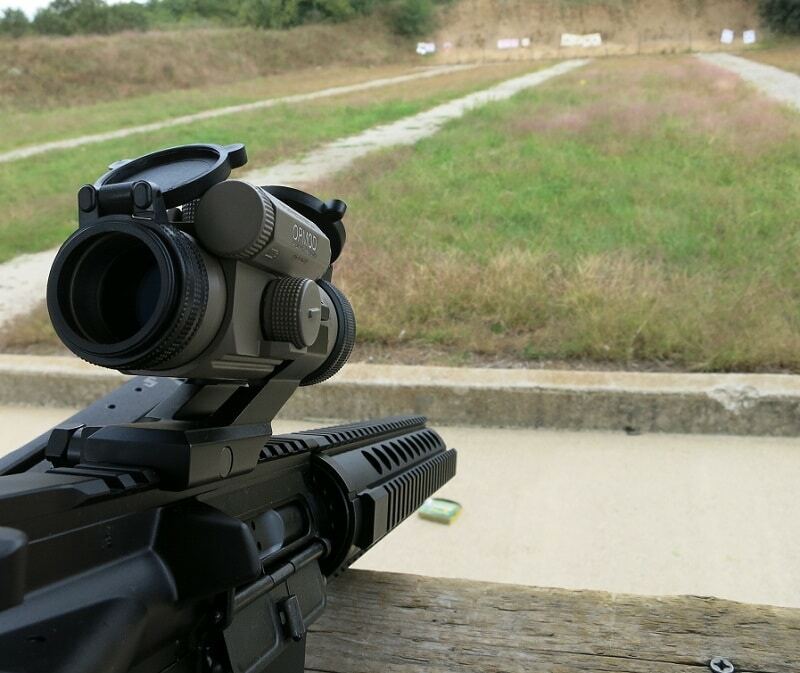 It is pretty clear that red dot scopes are a good addition to your firearm. As mentioned earlier, your choice of a scope is mainly dependent on how you are planning to use it. There are some sights that are convenient for short range shooting and others are suitable for long range shooting. The information provided in this article should educate you on what these devices are and most importantly, the best choices you can make when finding and buying them. You truly need to get one of the abovementioned sights to improve your aim. With practice, you can reduce the time it takes you to engage multiple targets. For more options on hunting accuracy, see our article reviews of the best holographic sight.